When it comes to being smart about your money, nothing casts a greater shadow of doubt on your next investment than misleading information. BPI-Philam, the country's premier bancassurance company, listed the top five myths you might have heard stopping you from getting your own insurance policy. Life insurance was once inaccurately touted as a contingency plan for sickness or worse, death. Now it strives to be the Filipino's partner for total wellness through Philam Vitality, a wellness program designed to reward policy holders for being and staying active. It isn't just about helping customers live, it's helping them live better. there is a plan that fits your financial needs. You may be starting a business, readying yourself for marriage or parenthood, acquiring a home or your dream car, going abroad, or even retiring - one thing remains: everyone is still at risk of getting sick, living too long, or dying too soon. For so long, "expensive" has erroneously been equated to "quality" and anyone who dared say otherwise is shady. Whether you have two or ten thousand pesos, great comprehensive insurance products are made available for your specific need. With a budget of Php1,600 a month for a policy you can have quality and comprehensive coverage assured with no strings attached. That's just Php55.00 a day! Imagine, the Php55 you'll be spending on unhealthy fast food meals or prepaid mobile data could be your start to protecting your future! Insurance has become easier to get and have because you can obtain it through a bank. 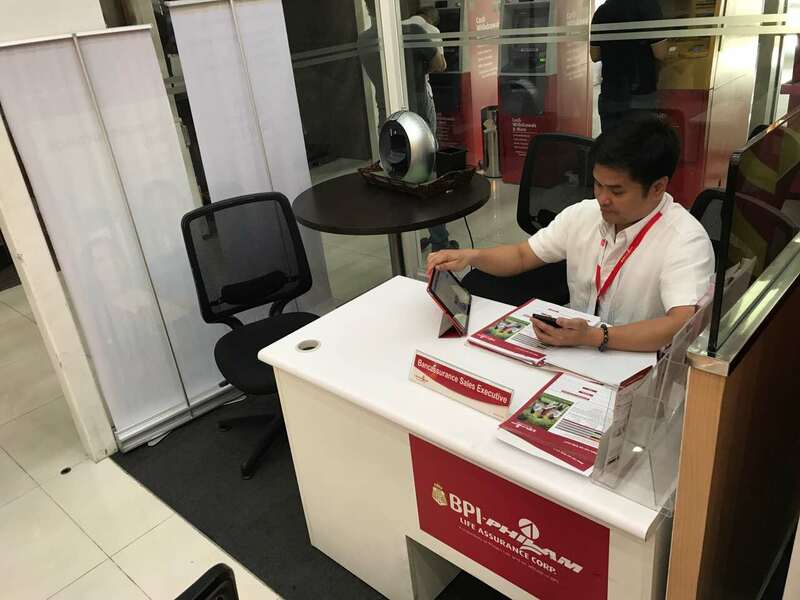 In this era of bancassurance, insurance becomes more accessible by being offered in any BPI branch nationwide. Insurance payment terms are no longer a question of "How long do you need protection?" because a need isn't necessarily long nor short-term. BPI-Philam sees security and ease of mind as needs for the appropriate term - for as long as your need exists. They won't cause you to break your back paying premiums for the "long-haul" but will assure and protect your future through forward-thinking policies that aren't hard on you. To experience great quality service and get top-notch products for yourself, visit: www.bpi-philam.com.